In its most basic form, sans bolster and with a full flat grind, the Al Mar Hawk Ultralight is the Platonic ideal of a folding knife, a slender slicing blade with a level of polish found nowhere else in the production knife world. 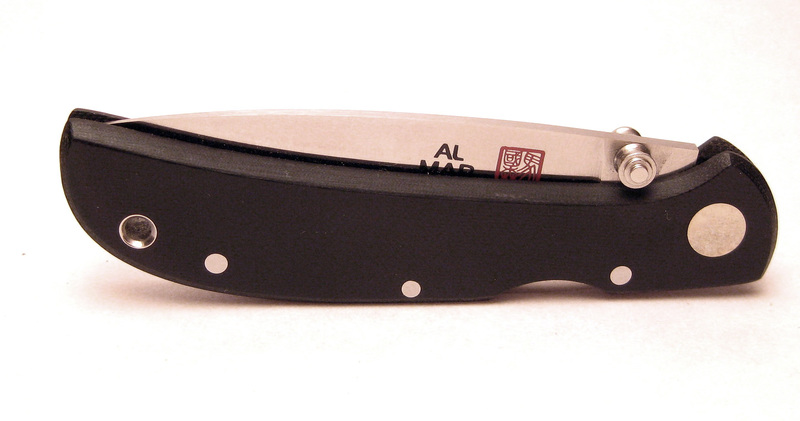 The quality of knives made by Al Mar is second to none, and the best part of this particular knife is the price. You get a world-class blade for around a hundred bucks. But if you looked at the specs you’d be left cold as to why this knife is so damn good. This is no spec monster. There is no super steel. The handle material–micarta–has been around forever. The opening method is a boring old thumb stud. 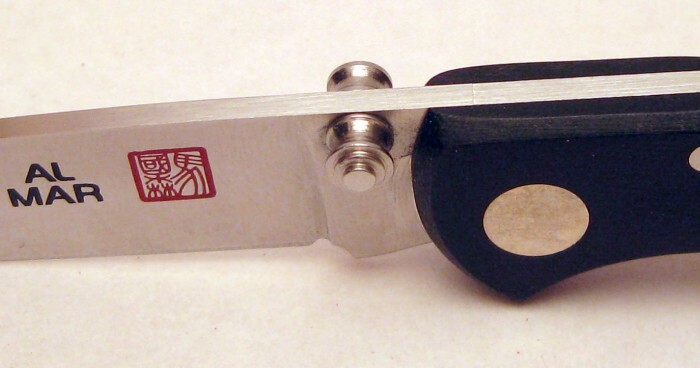 The lock is a basic lockback. 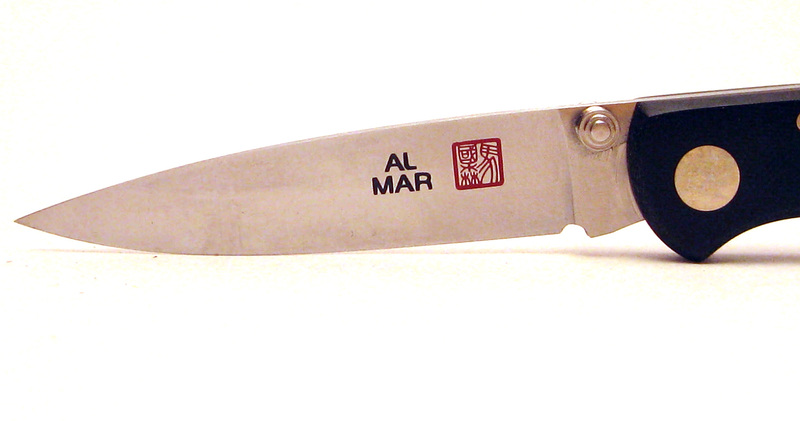 In fact before reviewing the Al Mar Hawk Ultralight, I couldn’t figure out why folks raved about Al Mar’s blades. The fit and finish are superb. But even that is not the full explanation. What makes the Al Mar Hawk Ultralight so great is the performance ratios. Over the years, I have found two measurements that really make a folding knife punch above its weight–the blade to handle ratio and the blade to weight ratio. The first ratio is about expanded capabilities and the second is about pure efficiency. With a better blade to handle ratio more cutting edge that is squeezed into a handle, and the more stuff you can do with a smaller knife. Cutting apples, food prep, and other tasks become easier. Free blade length is always a good thing. One of the most popular knives around, the Spyderco Delica has a blade to handle ratio of .68. The Al Mar Hawk Ultralight has a blade to handle ratio of .84. Simply put, the blades on these two knives are basically the same length, but the Delica’s handle is more than a half inch longer. The blade to weight ratio of the Hawk Ultralight is equally impressive. At .96 ounces, the Hawk Ultralight has a blade to weight ratio of 2.81, by far the best I have ever seen after more than 250 systematic gear reviews. It’s like you are carrying nothing, but still have an effective knife on you. There is no pocket clip on the Hawk. To get that you have to move up to the similarly magical Falcon Ultralight. The steel is pretty basic, AUS8, but refined and ground to get every last drop of performance out of its familiar recipe. And that is the key to the Hawk Ultralight’s success–every drop of performance has been harnessed to make a classic, perfect, pocket knife.